This story was produced in collaboration with the Ohio Valley ReSource, a public media partnership covering Kentucky, Ohio and West Virginia. The Marcellus Shale has transformed the Appalachian Basin into an energy juggernaut. Even amid a recent drilling slowdown, regional daily production averages enough natural gas to power more than 200,000 U.S. homes for a year. But the rise of hydraulic fracturing over the past decade has created another boom: tons of radioactive materials experts call an “orphan” waste stream. No federal agency fully regulates oil and gas drilling byproducts — which include brine, sludge, rock and soiled equipment — leaving tracking and handling to states that may be reluctant to alienate energy interests. “Nobody can say how much of any type of waste is being produced, what it is, and where it’s ending up,” said Nadia Steinzor of the environmental group Earthworks, who co-wrote a report on shale waste. (Earthworks has received funding from The Heinz Endowments, as has the Center for Public Integrity). The group is among several suing the U.S. Environmental Protection Agency to regulate drilling waste under a federal system that tracks hazardous materials from creation to final disposal, or “cradle to grave.” The EPA declined to comment on the lawsuit but is scheduled to file a response in court by early July. Geologists have long known soil and rock contain naturally occurring radioactive materials that can become concentrated through activities like fracking, in which sand and chemicals are pumped thousands of feet underground to release oil and gas from tight rock. But concerns about fracking largely have focused on injection wells and seismic activity, with less attention paid to “hot” waste that arrives at landfills and sets off radiation alarms. An analysis by the Center for Public Integrity shows that states are struggling to keep pace with this waste stream, relying largely on industry to self-report and self-regulate. States have also been slow to assess and curb risks from exposure to the waste, which can remain radioactive for millennia. Excessive radiation exposure can increase cancer risks; radon gas, for example, has been tied to lung cancer. The four states in the Marcellus are taking different approaches to the problem; none has it under control. Pennsylvania has increasingly restricted disposal of drilling waste, while West Virginia allows some landfills to take unlimited amounts. Ohio has yet to formalize waste rules, despite starting the process in 2013. New York, which banned fracking, accepts drilling waste with little oversight. 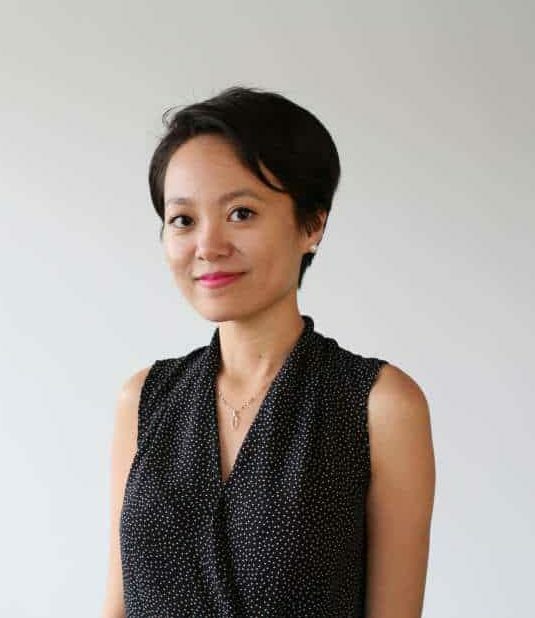 Inconsistencies have raised concerns among regulators and activists that waste is being “shopped around” by companies seeking the path of least resistance, or unsafely reused. In March, Kentucky’s attorney general opened an investigation into two landfills he alleged illegally accepted radioactive drilling waste from West Virginia. A separate investigation is ongoing at the Kentucky Cabinet for Health and Family Services, where officials exchanged emails about whether landfill workers and schoolchildren might have been exposed to dangerous levels of radiation. Kennedy co-chairs a committee working with regulators and industry to develop guidelines and recommendations for states. “You can’t rely on industry to go it alone and self-regulate,” he said. Trucks rolling into West Virginia landfills grind to a near halt as they pass fixed poles — monitors — that detect radiation above a set threshold. If the monitors go off, drivers reverse and pass through them again. After a second alarm, landfill staff members check drivers and trucks with hand-held detectors. An emergency state law required landfills to install the monitors in 2015 and submit reports detailing any alarms to West Virginia’s Department of Environmental Protection and Department of Health and Human Resources within 24 hours. More than 70 alarms have been reported since, but what happened to the waste after they were set off is unclear. The reports routinely lack basic information, such as whether the waste was accepted or rejected, where it came from and how much of it there was. One report, for example, shows the landfill in Wetzel County, West Virginia, took in 14 tons of industrial bag filters from an unknown source in April 2015. The filters weren’t labeled as drilling waste but contained radium 226, an isotope associated with fracking. Landfills must reject waste that exceeds state radium limits, yet the amount of radium in the filters was left blank on that form and every other alarm report generated in 2015. Radium 226 remains radioactive for thousands of years, breaking down into gases such as radon. After the Center contacted the West Virginia Department of Environmental Protection about inconsistent or missing information in the reports, officials reviewed the records and acknowledged “discrepancies.” They said they plan to work with state health officials to overhaul the reporting process, including revising the single-page form so it captures more useful information. Such efforts seem warranted: The health department, as a matter of practice, said it has been throwing away the reports it receives. A spokesman declined to comment further. Bill Hughes, who sits on the Wetzel County Solid Waste Authority, doubts the state will enact or enforce rules that burden industry. “West Virginia is not going to do anything that Pennsylvania and Ohio are not required to do,” he said. Hughes said it was the first time state legislators had openly acknowledged that drilling waste was more than just dirt and rock and could pose a radiation hazard. The report noted that before the waste was hauled to landfills, oil and gas companies simply buried it in pits on well-pad sites. On windy days, grit gathers on Toni Bazala’s home in South Huntingdon Township, 40 miles south of Pittsburgh, staining her white shutters black. A chain-link fence separates her property from the Yukon landfill 200 feet away. Max Environmental Technologies, Inc., which runs Yukon and another nearby site, has footed the bills for annual cleanings of her house’s exterior and paid for a new air conditioner, she said. Former township supervisor Mel Cornell said relocation isn’t an option many can afford. He spent years inspecting Yukon, often raising concerns about radiation measured on site, but quit and retired early to Florida last year. “They can’t clean people’s bodies when they breathe that in,” Cornell said of the dust. On at least one occasion, he said, he vomited while inspecting the landfill because the stench was so overpowering. 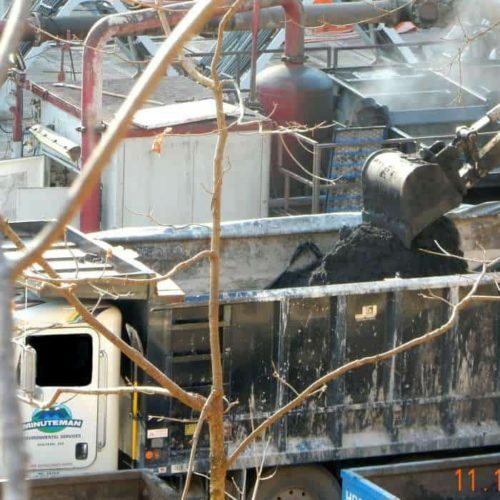 The township has repeatedly sued Max Environmental for producing a strong odor Cornell called “burnt cement,” which began in 2013 when Yukon started accepting drilling waste. The company has tried masking the odor with a bubblegum-scented deodorizer and paid a $10,000 fine to the township in monthly $25 installments. Township residents say penalties have failed to spur lasting improvements or quash Yukon’s expansion plans. Yukon has been inspected more than 200 times for solid waste issues since March 2013, racking up more than $200,000 in fines. The company admitted to odor and other violations in an August consent decree with the Pennsylvania Department of Environmental Protection. Pennsylvania regulators have increasingly restricted disposal of radioactive waste, instituting monthly intake limits on landfills. But the rules keep changing. 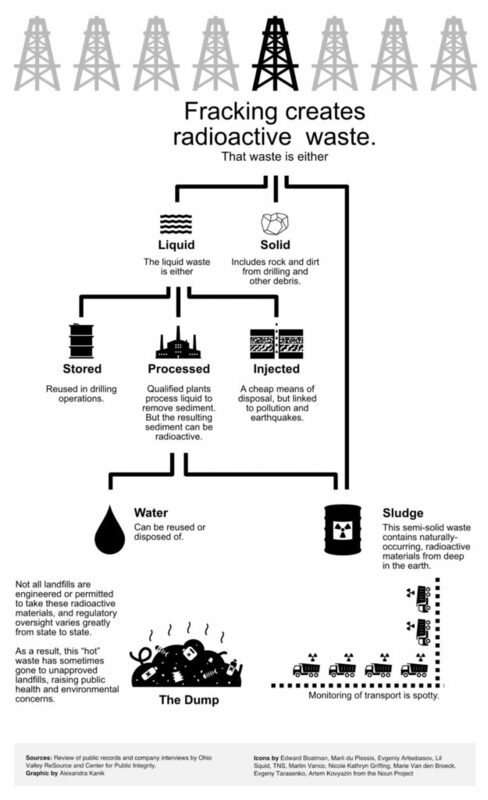 Sludge, which is left over from drilling waste processed by treatment plants, is considered highly concentrated and radioactive. But the state has gone back and forth on exactly how much of it landfills can take from one year to the next. In a panel discussion last year, Spadaro called Pennsylvania’s protocols “rather stringent,” saying they force landfills like Yukon to scale back the waste it takes. Landfills in the state maxed out monthly radioactive waste caps at least 87 times last year, often forcing haulers to try elsewhere. But some haulers can be persistent. In January, a driver was caught trying to dispose of the same load from a northeastern Pennsylvania well pad three times at the same landfill in one day. Gregg Macey, a professor at Brooklyn Law School, reviewed hundreds of Department of Environmental Protection emails and other documents obtained in an open-records request by Earthjustice, an environmental law group. His report highlighted the agency’s growing confusion over increasing numbers of radiation alarms at landfills and mislabeled waste. Emails from 2010 to 2013 show regulators reviewed records and found waste taken by landfills that should have gone to out-of-state facilities equipped to handle low-level radioactive debris. Officials also expressed concern that landfill operators didn’t fully grasp how to handle the new waste stream. None of these concerns was mentioned in a highly anticipated report by the Department of Environmental Protection last year that found “little potential for harm to workers or the public from radiation exposure due to oil and gas development.” The study was quickly championed by energy interests. Some, however, have questioned the study’s methodology and the impartiality of its author, Perma-Fix Environmental Services, a nuclear waste contractor. The state works closely with Perma-Fix to assess landfill radiation risks 1,000 years in the future. Steinzor, with Earthworks, said that without a federal tracking system, states have no reliable way of ensuring waste isn’t being illegally dumped. Pennsylvania regulators were able to pinpoint final burial locations for a third of nearly 300 loads rejected in 2015, but two-thirds remain unaccounted for. Bill Hughes, chairman of the Wetzel County Solid Waste Authority, speaks about radioactive waste handling at Wetzel County Landfill in West Virginia. 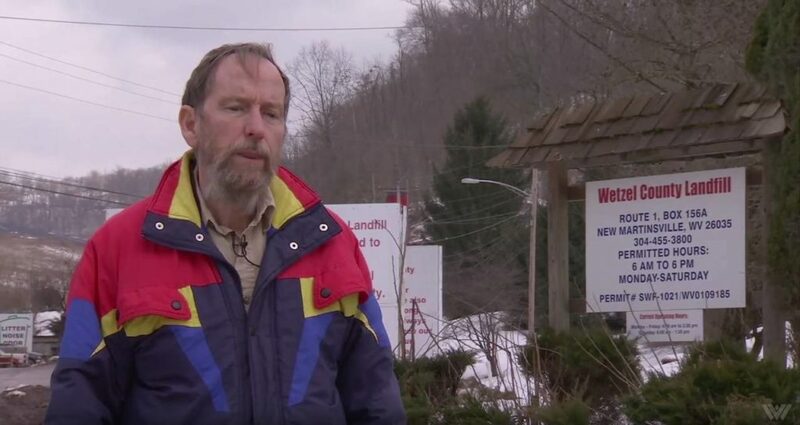 Bill Hughes has sat on the Wetzel County Solid Waste Authority in West Virginia for 15 years — five as chairman — but he has a feeling this year will be his last. A staunch fracking critic, Hughes has spoken out against the dumping of radioactive drilling waste alongside household trash in municipal landfills. Located at the base of West Virginia’s Northern Panhandle, Wetzel County has become a prime destination for out-of-state drilling waste. Hughes, 71, concedes that he’s “made a lot of noise” about the dumping of such waste in the county’s 238-acre landfill; since 2012 it’s outpaced the intake of all other garbage combined. In February Hughes, a retired electrician who belongs to the Heinz-funded FracTracker Alliance, was sued by the landfill’s operator, Lackawanna Transport Company. Lackawanna is seeking damages that “could be in excess of $1 million,” claiming Hughes illegally invoked his chairmanship of the waste authority to temporarily block the company from building a separate, lined surface pit for drilling waste in 2013. Nearly 100 public commenters raised concerns about the pit — known as a cell — which would allow Wetzel to accept an unlimited amount of drilling waste. West Virginia does not count such waste as part of Wetzel’s monthly cap of 9,999 tons, which is meant to conserve space and limit the life of the landfill. Wetzel has already taken 650,000 tons of drilling waste since 2013. Further south, in Harrison County, Meadowfill Landfill sought approval for a similar cell in 2013 and won easy approval. That landfill has gone on to become the state’s top disposer of drilling waste, taking in nearly 900,000 tons since 2013, including loads deemed too radioactive for Pennsylvania. News of the million-dollar lawsuit against Hughes rattled the Wetzel authority’s volunteer members, who had bickered with him about mounting legal costs associated with fighting the proposed cell. In March, they told the authority’s lawyers to withdraw official opposition to it, and a state commission approved it a short time later. Authority members are unpaid, but the authority itself and its popular county recycling program are funded largely by landfill fees, creating potential conflicts of interest, Hughes said. His term on the authority expires in July. In 2015, Ohio officials shut down an illegal waste facility operated by Anchor Drilling Fluids USA, Inc. More than 20 tanks were found on site, which stored mud and other wastes from fracking. Rachelle Quigg and her son had a rude awakening one summer night in 2014 when a neighbor’s property in Hammondsville, Ohio, was invaded by large yellow tanks and humming trucks. A month later, officials ordered the company responsible, Anchor Drilling Fluids USA Inc., to shut down and clean up the property, which it did in July 2015. The company was not penalized outside of being ordered to close the site. 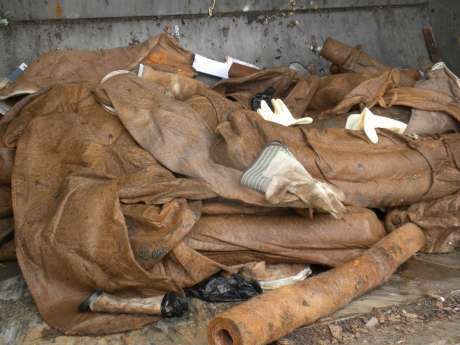 In lieu of issuing permits, the state has allowed more than 40 facilities to handle and treat drilling waste under a temporary authorization process since 2014. Some applications were approved the same day they were submitted — unlike permits, which require public comment and various stages of review. Department of Natural Resources spokesman Eric Heis said companies consult with state engineers prior to filing applications, which shortens review times. Temporary authorizations are granted without public comment. Under Gov. John Kasich, the department has drawn criticism for being deferential to industry. A 2012 memo detailed joint plans by the department and Kasich’s office to rally support for fracking by undercutting “environmental-activist opponents, who are skilled propagandists.” The memo singled out opponents, including the Sierra Club and Democratic legislators, and potential allies such as Halliburton and other energy and business interests. The plans were never carried out. Melanie Houston of the Ohio Environmental Council said rulemaking efforts have moved at a snail’s pace, creating a “Wild West” milieu. Proposed guidelines would require landfill operators to install radiation monitors and report alarms to health officials and the Ohio Environmental Protection Agency, which shares authority with the Department of Natural Resources. The Ohio EPA began the rulemaking process in 2013, but has yet to approve any rules. Statewide, six landfills reported accepting 583,000 tons of drilling waste in 2013. In 2014, eight landfills reported taking in nearly double that amount. Emails obtained by the Center through an open-records request show state officials struggled to coordinate response to an alarm last July triggered by drilling “filter socks” in East Sparta that were emitting roughly 200 times the state’s radiation limit. The socks, which separate liquid and solid drilling waste, were picked up unknowingly by a residential garbage truck. The waste was shipped to a Utah nuclear waste site in October, since it was too radioactive for a much closer facility in Michigan. Filter socks, which are used to separate liquid and solid materials during fracking, have set off radiation alarms at municipal landfills. Some are ultimately shipped to special facilities out-of-state that handle low-level radioactive waste from nuclear plants. Like Ohio, New York is mulling new rules. In February, Gov. Andrew Cuomo announced proposed regulations requiring landfills to install radiation monitors and lower the radioactivity of disposed waste. The state’s Department of Environmental Conservation is accepting public comments through the summer. 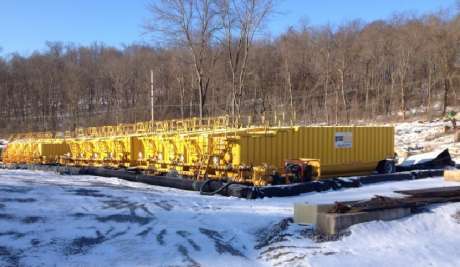 The proposals come a year after an Environmental Advocates of New York report claimed thousands of tons of fracking waste were being landfilled upstate. “There were a lot of residents pretty outraged,” said report author Elizabeth Moran. When the state’s fracking ban took effect in 2014, Cuomo cited health officials who called potential risks, such as water contamination from radioactive waste, “too great” to bear. But data show seven New York landfills have accepted at least 460,000 tons of solid fracking waste since 2010, according to Moran. The numbers, based on self-reported estimates from oil and gas companies operating in Pennsylvania, are incomplete. They don’t reflect, for example, Pennsylvania fracking waste that was processed by a New Jersey landfill and later sent to Staten Island in New York City. Records obtained by Delaware Riverkeeper in 2014 showed the treated drilling waste was used in 2011 to cover the Brookfield Avenue Landfill, an illegal dumping ground that was shuttered in the 1980s and is undergoing a $240 million cleanup. Lacking confidence in the state, several New York counties have banned fracking waste disposal, while a bill outlawing the dumping, use or sale of all fracking byproducts is being considered by the New York City Council. Moran suspects many New Yorkers don’t know that radioactive waste is being scattered in the state.